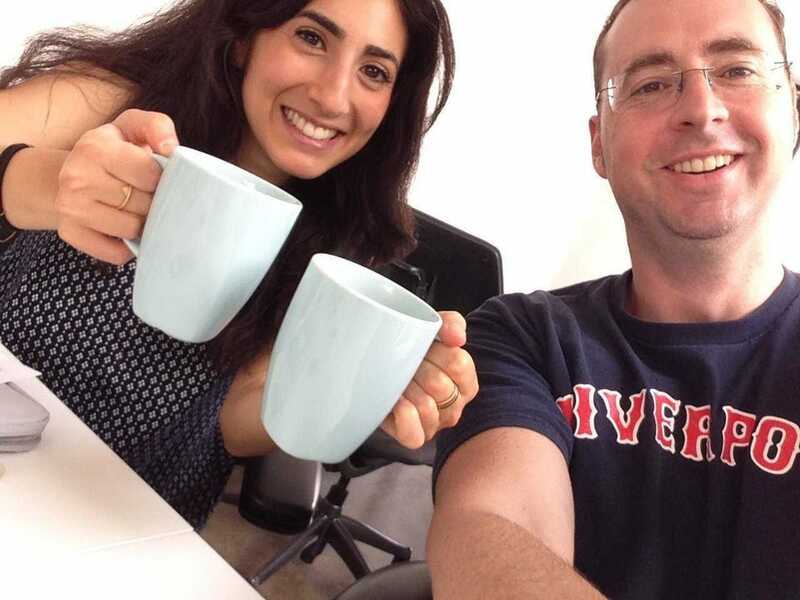 We Just Launched Business Insider UK! 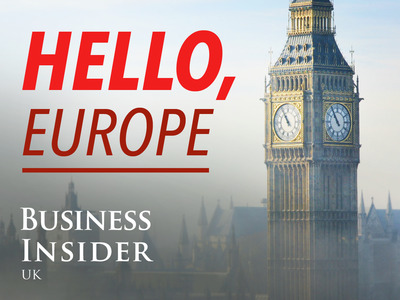 We just launched Business Insider UK, a new business news site for Europe. You can check out the new site here. You can switch back and forth from any of our global sites by using the links at the bottom of any page on Business Insider. Business Insider was born seven years ago — four people working in a loading dock in Manhattan. It has since developed a global audience of more than 50 million readers per month, on both desktop and mobile devices. Based in New York, Business Insider has always had a decidedly American view of the world. But we’ve also got a lot of British and European readers, too. BILondon editor Dina Spector and founding editor Jim Edwards. So now we’re going to start serving those readers better by covering Britain and Europe with a local staff and a separate web site, based in London. We’re going to focus on finance, tech, economics, policy, marketing and strategy. Business Insider UK will still provide you with the full newsfeed coming from our global parent. But we’ll be prioritising the news from that side of the pond rather than this side of the pond. On Business Insider UK you’ll probably see more stories about the eurozone crisis and tech startups in London, and fewer stories about baseball and Wyoming. Business Insider UK will keep BI’s traditional mixture of smart, accurate, fast, fair, fearless, and fun coverage of business and the world. We’ll try to give you the news as fast as possible, in plain English, and skip over the boring bits. Over time we expect the new site to develop its own unique voice focused on the English-speaking European market. We’re also going to help you get your daily round up of the world news, straight to your inbox every day when you sign up to our “10 Most Important Things In The World” newsletter. Click here to enter your email address and sign up for free. Michael Bird is our markets and finance reporter. He joins us from City A.M., where he had been an economics reporter since May 2013. He is particularly interested in London’s crazy housing market and eurozone deflation. and Bird graduated from the University of Exeter with a B.A. in history and politics. 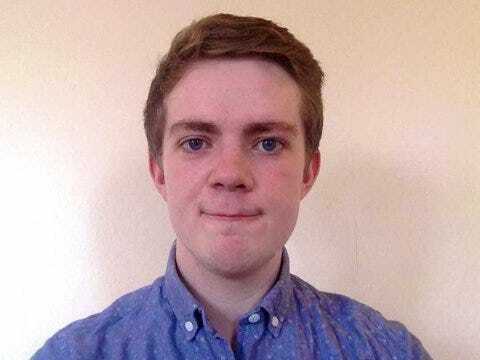 Tomas Hirst is our politics reporter, covering policy, macroeconomic issues, and current affairs from a business perspective. Hirst comes from the World Economic Forum (which hosts the Davos conference) where he was a commissioning editor. Previously he was the editorial director of Pieria, the site where academics and industry executives debate economics and public policy. Hirst graduated from Oxford with a B.A. in English language and literature. He’s obsessed with the collapse in Russia and oil prices. 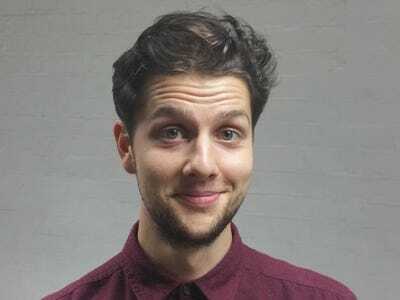 James Cook is our tech reporter. He joins us from The Daily Dot and, before that, The Kernel. His work has also been published by Forbes and The Huffington Post. He was once the subject of a tweet by J.K. Rowling. He didn’t go to university — just went straight into the workforce, the old-fashioned way. 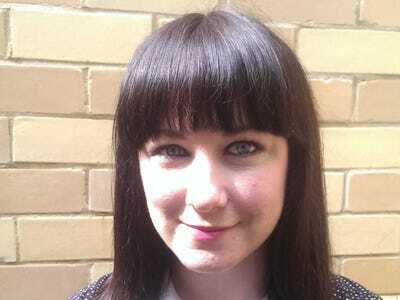 Lara O’Reilly is Business Insider’s global editor for advertising and marketing news. She was formerly a senior news reporter at Marketing Week. She will cover adtech, social media marketing, and traditional advertising. O’Reilly will work out of BI’s London office, but her beat is worldwide. Josh Barrie joins us from the News Shopper, a local paper near London. He has previously written for the Huffington Post, The Independent and The Phnom Penh Post in Cambodia. He earned his NCTJ qualification in 2012. Stefano Pozzebon joins us from The Times, where he was a freelancer on the foreign news desk. He graduated from City University in London with a master’s degree in journalism this year. He graduated with a BA in arts/humanities from Università degli Studi di Parma in 2012. He is also a bartender at The Frontline Club, the London drinking hole favoured by war correspondents. The entire Business Insider UK editorial team will work under London editor Dina Spector, and founding editor Jim Edwards at our offices in the Old Street area of London. 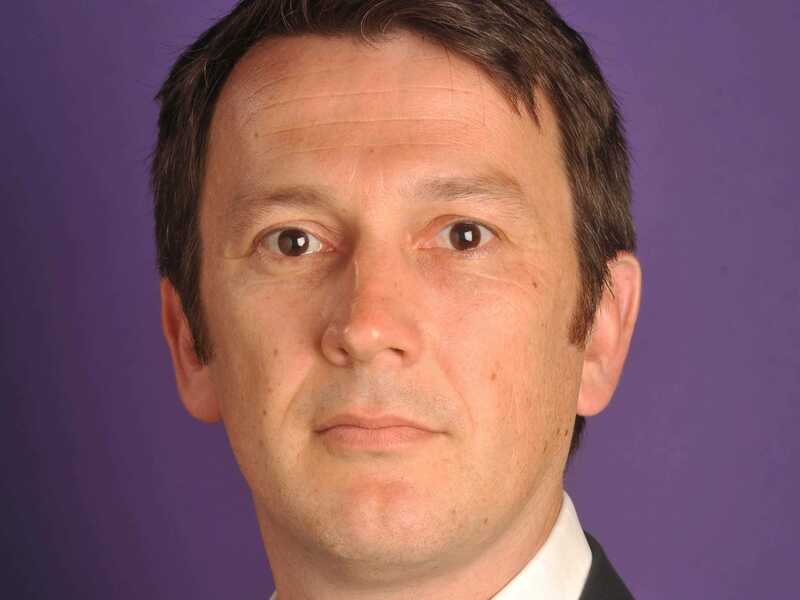 Julian Childs is our managing director. He was a vice president/B2B at CBS Interactive, a company where he’d had various roles since 2001, including VP/partnerships, international media. He previously worked on the sales side at CBS-owned CNET and ZDNet too. Jenna Scherr-Willson is our sales account manager. She is from from New York, where she did sales for CNET.com for the past three years. She will be focusing on agency relationships and educating the UK market on Business Insider. Jenna graduated from Northeastern University in Boston with a B.A. in communications. Catrin Kynan-Wilson is our marketing development manager. She comes from CBSi where she was a product marketing manager for the last three years. She will be focused on developing bespoke and custom programmes for advertisers looking to partner with Business Insider UK. Catrin graduated from the University of Southampton with a B.A in English.